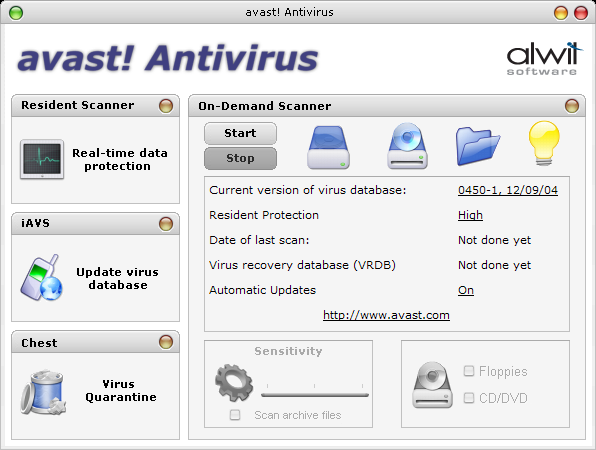 Comodo AntiVirus - (Free for Home and Business users). ClamWin - Free and open source! Using Windows XP SP2? Notice that some older programs wont work? (Stuff in DOS like EDIT.COM for example). You may have an incorrect registry setting! to the correct file, preventing things from running (it's supposed to point to the "aswMonVd.dll" file in your avast! folder). ashserv.exe is part of the on-access scanner. ashmaisv.exe is the mail scanner. ashdisp.exe shows the blue ball. aswupdsv.exe is the part that checks for updates. ashQuick.exe is Avast's quick scanner.